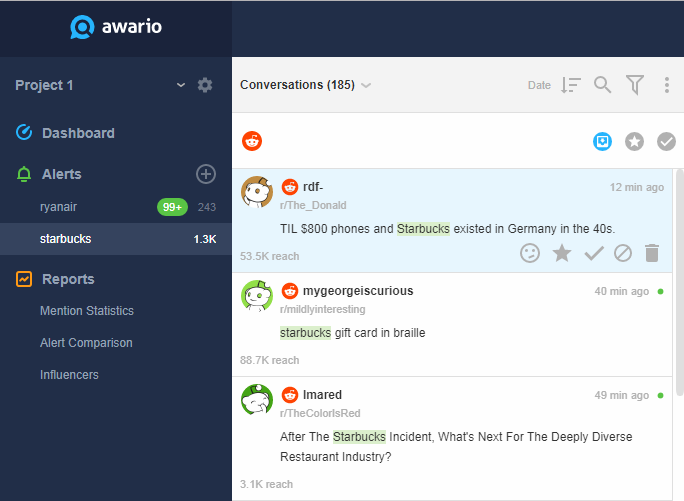 Awario is a tool for monitoring social media and web mentions of your brand. You can engage with your audience and grow your brand awareness. They have just now introduced Reddit monitoring. Reddit is one of the largest, most engaged and most promising media platforms on Planet Earth. As everything is discussed on Reddit, it’s most likely that your brand is mentioned there too. Or one of your our competitors or your industry. Do you want to miss out on these conversations? If not, start monitoring Reddit with Awario now. Please note that this feature is only available for Enterprise plans. You can test Awario risk-free by signing up for a 14-day trial of the Starter plan. Pricing starts from as low as $29 per month. By going for any annual plan you will get two months for free.